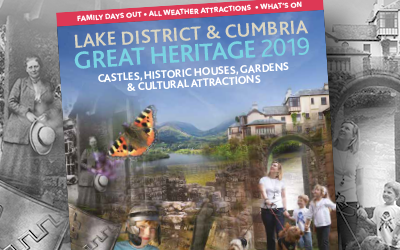 Cumbria’s Living Heritage is a consortium of historic houses, gardens, museums and cultural attractions in and around the Lake District, working together to promote their extensive programme of activities and events. Cumbria’s Living Heritage is committed to ensuring that your privacy is protected. Should we ask you to provide certain information by which you can be identified, then you can be assured that it will only be used in accordance with this privacy statement. Cumbria’s Living Heritage may change this policy from time to time. You should check this page from time to time to ensure that you are happy with any changes. This policy is effective from 25 May 2018. We may use the information to improve our programming. 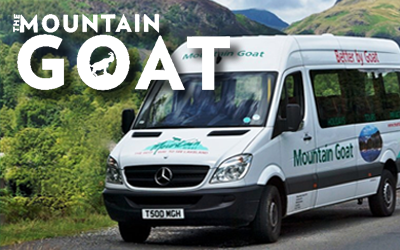 We may periodically send emails about our events programme, special offers or competitions which we think you may find interesting using the email address which you have provided. We may also use your information to contact you for market research purposes. In such circumstances we would only contact you by email. We may use the information to customise the website according to your interests. A cookie is a small file which asks permission to be placed on your computer’s hard drive. We use traffic log cookies to identify which web pages are being used. This helps us analyse data about webpage traffic and improve our website in order to tailor it to customer needs. We only use this information for statistical analysis purposes and then the data is removed from the system. Our website contain links to Cumbria’s Living Heritage members websites However, once you have used these links to leave our site, you should note that we do not have any control over that other website. Therefore, we cannot be responsible for the protection and privacy of any information which you provide whilst visiting these sites and such sites are not governed by this privacy statement. If you believe that any information we are holding on you is incorrect or incomplete, please email us at enquiries@cumbriaslivingheritage.co.uk as soon as possible. We will promptly correct any information found to be incorrect.